Transportation and real estate are inextricably linked. We live, work, and play in buildings connected by vehicles, roads, rails, and sidewalks. Together, this infrastructure makes up the vast majority of our built environment. What does the future of transportation look like, and what does it mean for the multifamily industry? This article is the beginning of a new mini-series from Homebase: Multifamily Developers and the Future of Transportation. In Part One, we will look at the overarching trends that are shaping the world of mobility. In Parts Two and Three, we will dive into how multifamily developers can take advantage of these trends and build future-proof communities. Part 2: What do Multifamily Developers Have to Gain from MaaS? Transportation can evolve overnight. Literally. In 2018, millions of city-dwelling Americans woke up to find their street corners fitted with Bird and Lime scooters, leaving local governments scrambling to hash out the details. Uber and Lyft were similarly disruptive– and ultimately transformative– to the way we move, and brand new forms of transit are just around the corner. The chief concern for multifamily developers is to create communities that are impactful, innovative, and future-proof. To do this, we have to look outside the walls of our developments, to the way the world is moving around us. City centers, abandoned in the late 20th century, are seeing a revival around the world. In the US, populations in “urban core” counties grew 13% between 2000-2016. Today, almost 100 million residents reside in city centers. Even though city growth has slowed in the past few years, it is not due to the lack of enthusiasm for urban life. The rising cost of living in cities prove that demand is higher than ever. The problem is lack of supply. Housing proponents are fighting against old zoning laws and anti-development groups to add density to high opportunity areas: parts of the city near transit and jobs. “Building up” in these areas with mid-rise apartment buildings would add affordable, high-quality housing to popular urban areas. In California, for example, a McKinsey study found there is room for up to five million new units in high opportunity areas, and three million of those near transit stations. As the state with the largest housing shortage, those 5 million units would make a massive difference in the well-being of Californians. Housing is not the only thing that needs to evolve in dense areas. Cities are already experimenting with new forms of mobility to help us move around our urban homes. The Internet of Things (IoT) has sparked new life into mobility solutions and has spawned entirely new modes of transportation. 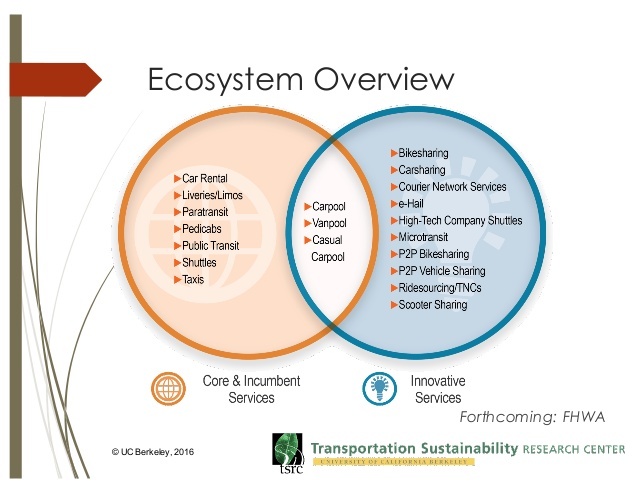 Shared mobility used to mean public transit, taxis, car rentals, and community carpools. Today we have numerous tech-driven options, from peer-to-peer car rentals like Turo, to on-demand commuter busses with Chariot. Startups and legacy automakers are experimenting with different ways for people to move in and around cities, creating a new golden age for shared mobility. New shared mobility solutions make it easier than ever for people– especially city-dwellers– to avoid private car ownership. Companies are also upgrading public transit with IoT technology, making services more reliable, efficient, and beneficial for riders. Still, most of our neighborhoods are far from being mobility-friendly. In a recent study of 40,000 apartment developments, only 5.6% scored an “Excellent” rating on TransitScreen’s MobilityScore metric, which measures access to mobility options. Another 8.9% of apartments earned a grade of “Good”. Apartment communities have always advertised perks like covered parking. Future residents will prefer developments whose amenities include access to bike-sharing stations and on-site car-sharing. IoT-powered mobility is the precursor to an even more disruptive technology: autonomous vehicles (AVs). Uber, Lyft, major auto brands, and tech companies are all investing heavily in AVs. Some automakers are even cutting poor-selling models to make way for cars 2.0. Private vehicles sit idle up to 95% of the time. AVs (and the shared mobility services built on them) could drastically reduce the number of vehicles in circulation, reducing city congestion and improving road safety. What does that mean for the 500 million parking spaces around the country? That is a serious question that multifamily developers must answer. One architecture firm in Denver is planning for the future. Kephart, the designers of Denizen Apartments, is building parking garages with flat levels instead of long ramps. When the garage is no longer needed for parking, it can be converted into space for retail, offices, and lofts. Growing cities, shared mobility, and autonomous vehicles present new challenges for transportation infrastructure. Not only is traffic congestion a concern, but bikes, pedestrians, and AVs also need space on the roads. The problem goes beyond replacing our outdated and insufficient infrastructure. The Highway Trust Fund, our biggest source of funding for infrastructure projects, is drying up. The Highway Trust Fund (HTF) is the country’s piggy bank for infrastructure projects like highways and bridges and is funded primarily through gas taxes. However, due to fuel-efficient vehicles and an outdated gas tax rate, the HTF hasn’t been able to cover its outlays since 2008. With the rise of electric vehicles and shared mobility services, the shortage is only going to get worse. Cities and states will have to find new ways to fund infrastructure projects. Data as a Service (DaaS) could soon become a vital function of government and an important source of revenue for infrastructure projects. Smart transportation services rely on big data. Uber, for example, stores over 100 petabytes of data (or 100,000,000 gigabytes) and processes it in near real-time to predict rider demand and driver supply. But Uber is just one service and one source of data. Imagine the insights generated when every road, building, streetlight, and mobility service is connected to the same network. No single organization could manage it. That’s where Data as a Service comes in. Data as a Service is a storage and distribution model for sharing data with numerous entities. For cities, this means making data available to optimize the usage of infrastructure and transportation options. As an open-source platform, anyone can contribute to the DaaS network, but the city will manage it and grant access to public and private partners. Cities around the world have already started building DaaS solutions. Hong Kong is creating a massive geo-spatial database to store and share information about the city, including terrain, traffic patterns, and metadata about specific locations. This data is critical for autonomous vehicles and will help public services become more efficient. Smarter mobility services will attract more people to our cities. Multifamily developers will benefit from the uptick in residents, but they are also part of the DaaS solution. 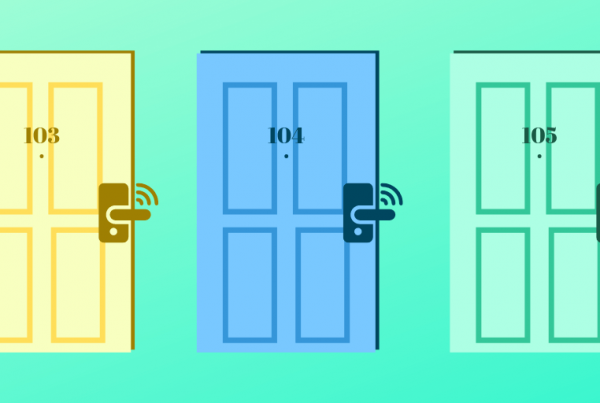 Smart buildings and smart apartment communities generate valuable data that cities need, like utility usage rates, building and parking occupancy. Cities could “pay” for this data in the form of data credits, similar to renewable energy credits, to developers who share their building data. DaaS is not a single solution. It is a platform that connects organizations and services from around the city into a single network. Multifamily developers will play a key role in this new platform. All of these trends point to a fundamental shift in the way we live and move. For nearly all of human history, mobility was left up to the individual. Today, a new model is forming in our cities: Mobility as a Service. Like DaaS, Mobility as a Service (MaaS) is a network of public and private services that provide a comprehensive mobility solution. Think of the Chicago Transit Authority (CTA), but bigger: Citizens can access trains, busses, bikes, car-sharing, ride-hailing, and more from a single platform. Thanks to big data and city-wide smart infrastructure, MaaS will deliver the optimal mode of transportation for anyone, anytime, anywhere. What does this mean for multifamily developers? Imagine being at the forefront of the city boom during the industrial revolution, or building the neighborhoods that suburbanized America in the 1950s. Trends of this magnitude promise monumental reward for developers who recognize the opportunity. Mobility as a Service represents the newest– and possibly the largest– opportunity of our generation. 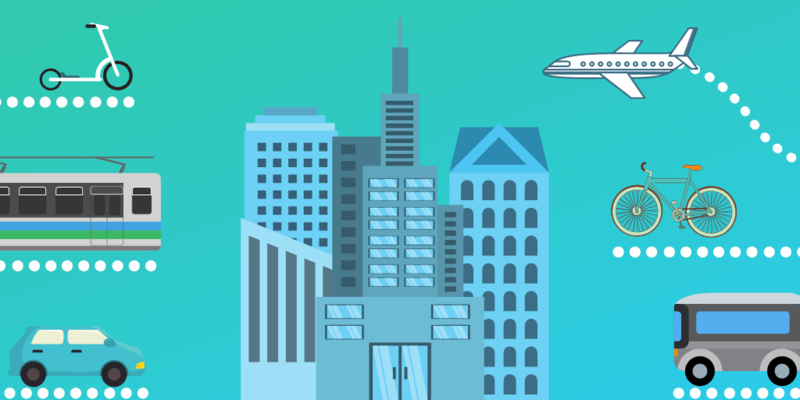 In the next part of this series, we will dive deeper into Mobility as a Service, and the benefits it offers to multifamily developers. 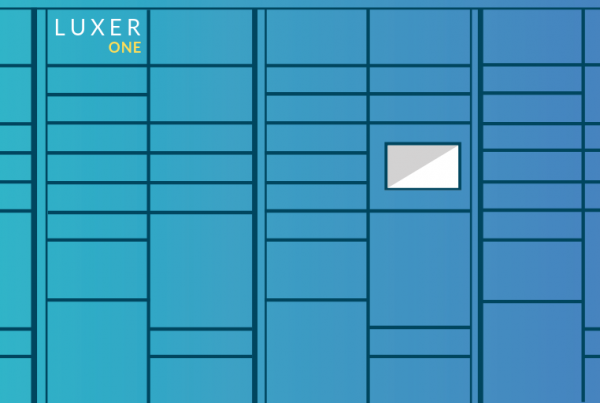 Is Luxer One the Right Smart Package Locker for Your Property? 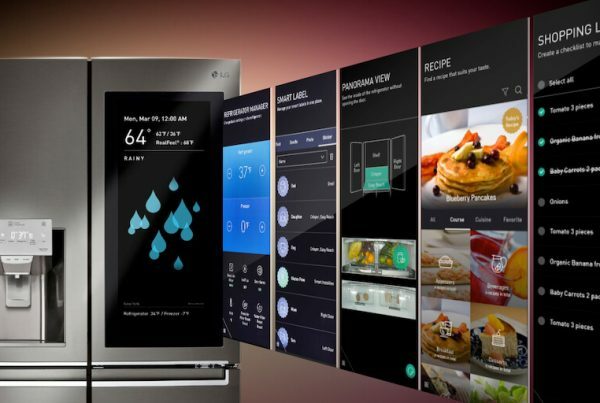 Smart Appliances: The Next Hot Apartment Amenity? Blake Miller is the Founder and CEO of Homebase.ai a connected building solution for multi-family housing and the Host of The Future of Living Podcast. Who are you? We’ll send you awesome stuff!